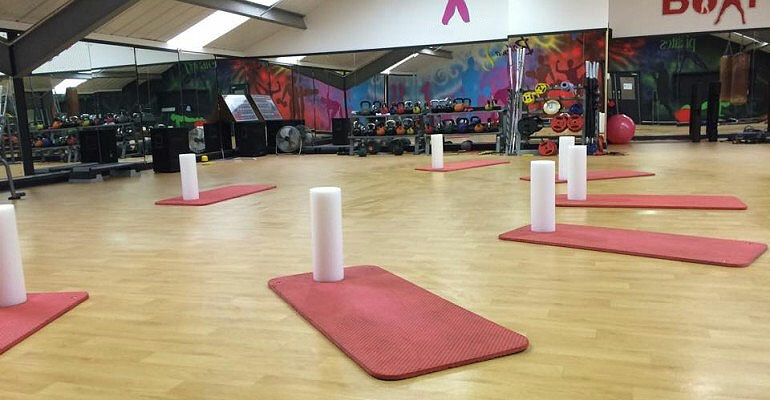 Rest assured your quadriceps will be rehabilitated after foam roller fitness training. Medical doctors, after years of research, have confirmed that massage has vast health benefits. WebMD.com states "helping to increase blood flow and break down scar tissue." The application of foam-rollers is a healthy act of self-massage. A massage from a licensed therapist vs. self-massage has equal health benefits. 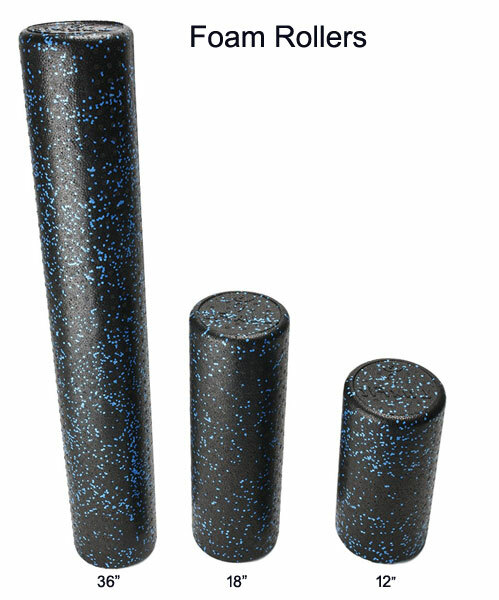 Foam-rollers for muscles will direct and increase blood flow to sore, injured and fatigued muscles. Fact: Increase blood flow to the affected area(s) will speed-up healing and ultimately RECOVERY. For this is the essence/benefit of The Foam Roller~! 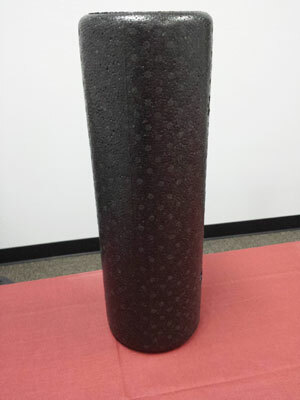 Our molded polypropylene foam has a smooth surface, almost skin-like, is sweat proof and will maintain its cylindrical shape after years of use. 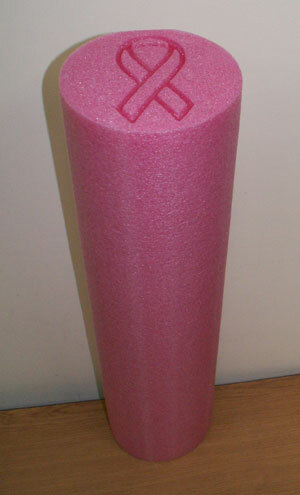 Polypropylene foam-rollers are made of closed cell foam; it floats in water. This physical attribute will minimize the accumulation of bacteria –vs. 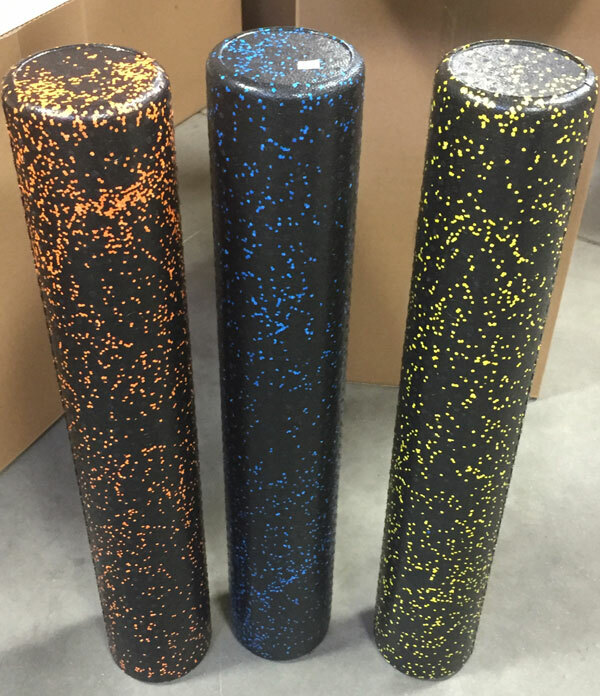 polyurethane foam rollers. 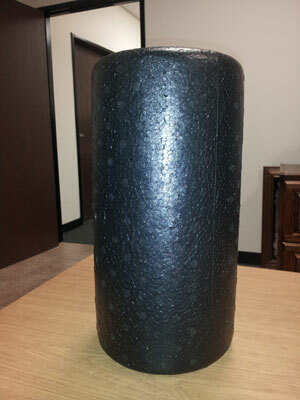 In addition, closed cell foam-rollers are easy to clean. 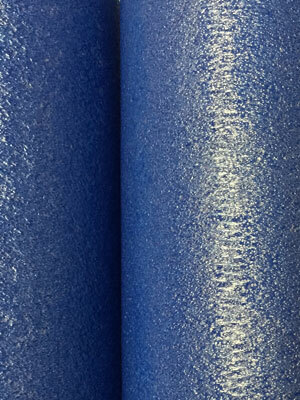 Blue Foam Rollers are available in 36" long. There are several benefits of foam rollers. 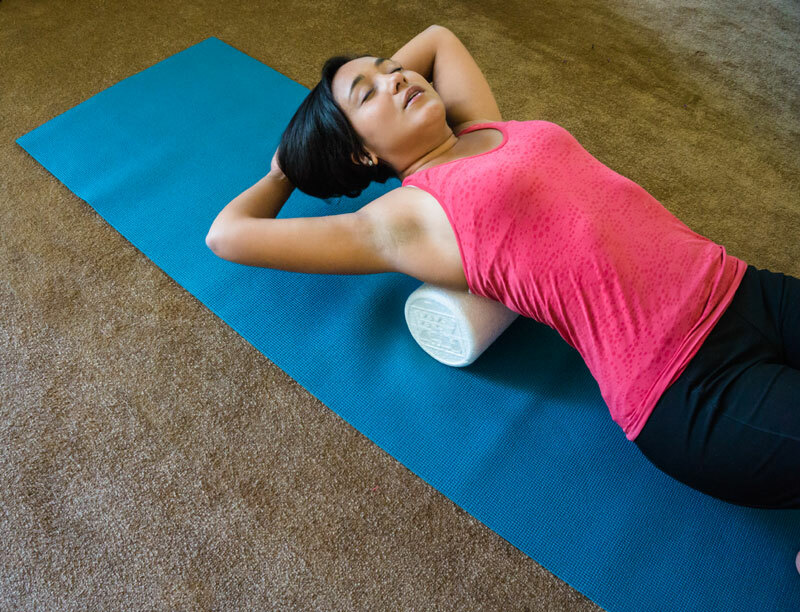 Just like therapeutic massage, foam rollers act on the fascia, which is a fibrous connective tissue that surrounds the muscle fiber. Muscle contraction induced by athletic movement-sport and exercise-elongate, grow and pulsate muscles. This pulsation will pump blood flow/increase flow to muscles. As blood flow circulates into the muscles this will increase calcium, creatine, actomyosin, sodium, etc. into the muscles fibers. The flow of nutrients and chemical into the muscle fiber will assist in muscular contraction, growth and healing. Without movement (exercise & sport) fibers of the fascia will lose its natural striation and become cross-linked. If this occurs muscles and nerves will become inhibited and may cause pain and lose its functionality. Sport and exercise will have a similar effect on blood flow as using foam rollers for self- massage, except with less strengthening of the muscles. Foam roller used for massage will increase blood flow to muscles and have very similar benefits as physical movement. Foam roller arch stretches must be countered with bend over stretches.